Suzy wears Manning Cartell Military-Esque Trench ($599), Larson & Jennings Lugano Kulor 38mm ($425), Levi's 501 Jeans ($150). Being a fashion buyer is one of the most glamourous roles in the fashion industry. They get to attend runway shows around the globe, scout out street style trends, and have the power to choose everything that's in stores now (and dictate what we'll be wearing for the upcoming season). But what does it really take to become a fashion buyer? And what is their everyday job actually like? To find out, we asked The Iconic's Senior Womenswear Buyer, Suzy Rasbash, to share a little bit about her role. 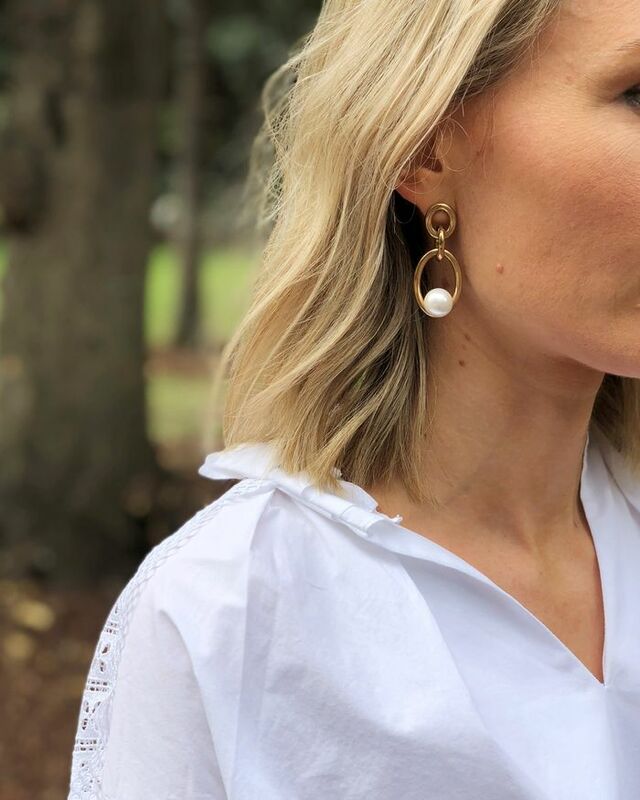 Working for one of Australia's leading online fashion retailers, Suzy is responsible for choosing the brands the site stocks and acquiring new designers to add to their growing Premium Designer collection. When I met Suzy on a windy September day in Sydney, she was getting ready to fly to Paris Fashion Week to scout out up-and-coming Australian designers who are showing collections there. To gain a little insight into how she became a fashion buyer, I quizzed Suzy on her background. The Bondi-based buyer grew up in Brisbane, spent her 20s working for the likes of Topshop in London, then moved to Sydney two and half years ago to take up her post at The Iconic. Read on as she takes us through a typical work day, the most surprising parts of her job, and the trends she predicts are going to be huge this summer. Plus, have a peek at her understated workwear style and shop her current wish list. Suzy wears Reliquia Chain Pearl Earrings ($149), Lee Matthews Miller Cotton Poplin Gathered Tie Front Top ($339). Can you run us through a typical work day as a buyer for The Iconic? No day is ever the same. Being a buyer is very fast-paced and varied, which keeps me on my toes and constantly motivated. Mondays are generally spent reviewing trade from the week prior and this will typically dictate the rest of the week's activities. The week will include meeting with brands, reviewing new season collections, researching trends or designers, and reviewing the market and competition. I also work quite closely with our internal teams from marketing to PR, production and styling. It’s hard to pinpoint one thing. I do still pinch myself when I think about what I do as a job. I love researching into new trends either locally, online, or via biannual trips to Paris. Travelling is always incredibly inspiring and allows you to discover new designers—watching our customer shop and love them as much as I do is always hugely satisfying. Suzy wears Manning Cartell Military-Esque Trench ($599), Lee Matthews Miller Cotton Poplin Gathered Tie Front Top ($339), Levi's 501 Jeans ($150). What’s a part of your job that people would find surprising or unexpected? I think there is a misconception that the fashion industry is full of nasty people, but I have to say one of the things that makes my job so enjoyable is the people I get to work with. I consider myself lucky that my team at The Iconic and the brands and designers we work with are some of the most genuine, creative and inspiring people I've met. My first job in fashion was as a Style Advisor in the flagship Topshop store in London. From there I landed an internship with the Topshop buying team and it was then I decided I would become a buyer. After finishing a Business/Marketing degree, I took short course in Fashion Buying and Merchandising at the London College of Fashion and with that landed my first buying job as a Buying Administration Assistant. I then worked my way up through the ranks in various roles in London and Sydney, and have been in the industry now for 10 years. Suzy wears Lee Matthews Miller Cotton Poplin Gathered Tie Front Top ($339), Levi's 501 Jeans ($150), By Far Tanya Patent Leather Sandals ($413). What is different about working for The Iconic than other brands? The pace. We are seven years young, yet still going through hyper growth meaning things are forever changing and evolving. We have to be at the forefront of everything we do to constantly stand out. Being in such a fast-paced environment means everyone here really does love what they do, which is very important given the competitive nature of the industry. How do you know if something is going to be a trend or is going to sell well? Our customer is always looking for something new, so we have to be ahead of the game and on top of the trends before they are. 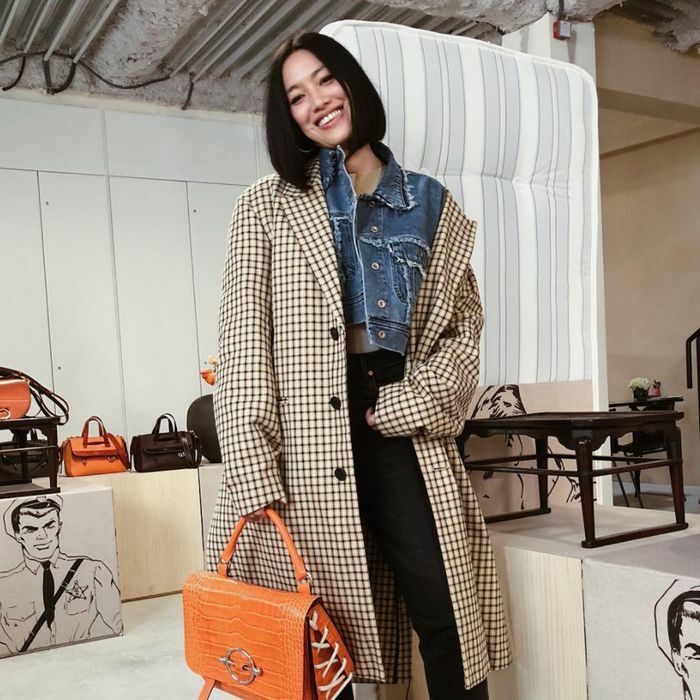 Analysing sales history, social media, street style, and consistencies across collections can help, however you still must be willing to trust your gut instinct and take risks. Suzy wears Manning Cartell Military-Esque Trench ($599), Levi's 501 Jeans ($150). What is going to be the biggest trend for spring and summer this year? I love the summer suiting that's coming through in bold colours; all shades of pink, voluminous sleeves on dresses and blouses, midi skirts. There is also a lot of leopard print, which I’m loving. You obviously see so much fashion all day, every day. How do you decide which pieces to include in your own wardrobe? I’ll add an item to my shopping basket and generally if it’s still there in a week’s time, it’s mine. What’s your approach to shopping for yourself? Are you a minimalist shopper or more trend-driven? Definitely a minimalist, I recently adopted a ‘one in, one out' approach to my wardrobe (after deciding three wardrobes was a bit excessive). I invest in quality pieces and justify the expense by cost per wear.